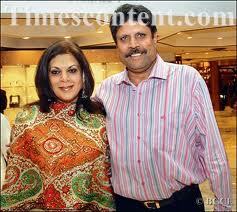 Kapil Dev Ramlal Nikhanj, better known as Kapil Dev, is a former Indian cricketer. He captained the Indian cricket team which won the 1983 Cricket World Cup. He married Romi Bhatia in 1980, which was a love marriage.